The 1979 Formula One season was the 33rd season of FIA Formula One motor racing. 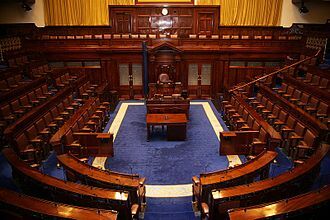 It featured the 1979 World Championship of F1 Drivers and the 1979 International Cup for F1 Constructors which were contested concurrently over a fifteen-round series which commenced on 21 January 1979, and ended on 7 October. 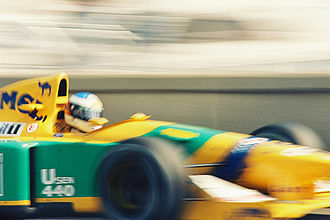 The season also included three non-championship Formula One races. Jody Scheckter of Scuderia Ferrari won the 1979 World Championship of F1 Drivers while Scuderia Ferrari won 1979 International Cup for F1 Constructors. 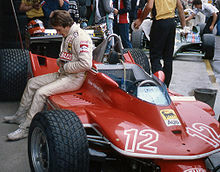 Gilles Villeneuve made it a 1–2 for Ferrari in the championship, concluding a successful second half of the 1970s for Ferrari (three drivers' and four constructors' titles). 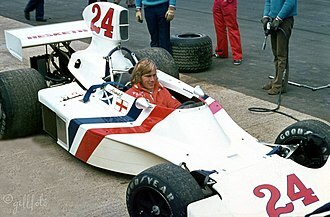 Alan Jones finished the season strongly for Williams, finishing third in the championship and with teammate Clay Regazzoni scoring Williams's first ever Grand Prix win as a constructor. 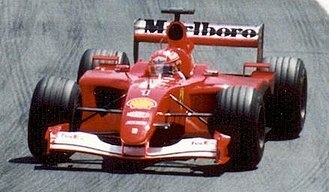 Scheckter's title was Ferrari's last drivers' title for 21 years, before Michael Schumacher won five consecutive titles for the team between 2000 and 2004. 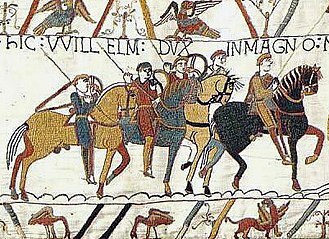 As of 2018, this is the only season the championship was won by a driver not from Europe, America, or Oceania countries. The following drivers and constructors contested the 1979 World Championship of F1 Drivers and the 1979 International Cup for F1 Constructors. Several high-profile changes happened among the leading teams for this season, as the death of Swedish driver Ronnie Peterson the previous September precipitated a merry-go-round of some of the most highly regarded drivers on the grid. 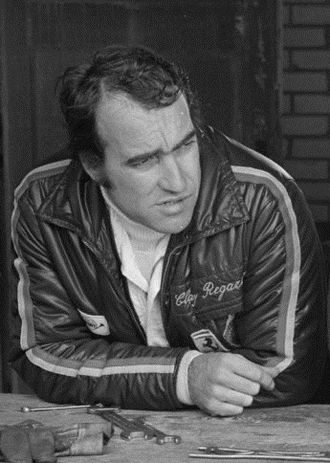 The dominant Lotus team signed Carlos Reutemann from Ferrari to replace Peterson. Ferrari took on Jody Scheckter to fill the gap, and the Wolf team hired James Hunt in his place. McLaren replaced Hunt with fellow British contender John Watson, whose place at Brabham was taken by the highly regarded but inexperienced Nelson Piquet, who had competed at the last race of the previous season in Canada. 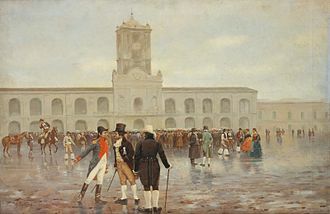 Like in previous years, the opening race of the season was in Argentina at the Buenos Aires circuit located on the outskirts of the capital city. Most people expected the Lotus cars driven by defending champion Mario Andretti, and his new teammate Carlos Reutemann to dominate but, to many people's surprise, it was the Ligier team that dominated qualifying, with Jacques Laffite on pole ahead of Patrick Depailler, leaving home favorite Reutemann to qualify third. Laffite led at the start with Depailler following, but the two men starting on the third row, John Watson in the McLaren collided with Jody Scheckter's Ferrari at the very fast first 2 corners, creating chaos behind. Four other cars were collected (including Andretti and Nelson Piquet, who was taken to hospital) and the race was red-flagged, and aside from Piquet's injury, no one else was injured. The race restarted after the mess was cleared, and this time Depailler set off into the lead with Jean-Pierre Jarier's Tyrrell and Watson (in his spare car) following him. But soon Laffite was up to second, and a few laps later he took the lead from Depailler. The Ligiers drove away, whereas Jarier struggled and dropped down the order with engine troubles, leaving Watson third before he was passed by a recovering Reutemann. Laffite went on and won comfortably, but teammate Depailler suffered a misfire and dropped to fourth, leaving Reutemann second and Watson third. The drivers stayed in South America for the second round which was held in Brazil, returning to the 5-mile Interlagos circuit in São Paulo; the longest circuit on the calendar. The Ligiers were in top form again, Laffite taking pole comfortably with Depailler alongside, with the Lotuses led by Reutemann on the second row. This time, Laffite was able to lead right from the first corner with Reutemann taking second from Depailler, but Depailler regained the place soon after and Andretti also passed his teammate to take third. Andretti however soon retired with a misfire, and so Reutemann was back in third. 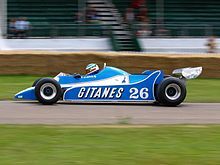 Laffite dominated as he had in Buenos Aires, completing his clean sweep of the South American segment of this Formula One season, although he was pushed by Depailler all the way – Depailler finished 2nd to Laffite to complete a 1–2 for Ligier and Reutemann completing the podium. South African Grand Prix, 1979. AP Archive – British Movietone News footage. 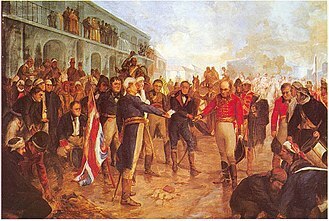 There was a four-week break between the Brazilian and South African GPs. 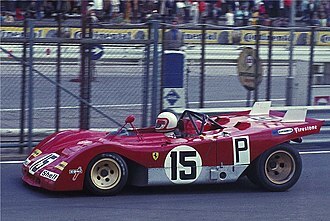 At the high-altitude Kyalami circuit between Johannesburg and Pretoria, Ferrari debuted their new ground-effect 312T4 to replace the 312T3 at this race, which had been used for the South American rounds; teams often debuted their new cars after the Argentine and Brazilian rounds, although some often debuted their new cars in Argentina, like Ligier, Brabham and Tyrrell. Jean-Pierre Jabouille took pole in the turbocharged Renault and home hero Jody Scheckter put his Ferrari second on grid, just in front of teammate Gilles Villeneuve, and the Ligiers were only on the third row. Jabouille led at the start with Villeneuve and Scheckter following, but Villeneuve took the lead on second lap before the race was stopped by a rainshower. When the race restarted, most drivers were on wets, but Scheckter and a few others opted for slicks. Villeneuve led at the restart and built up a gap, but the track dried and he had to pit for slicks along with most of the field. This left Scheckter leading comfortably, and he looked well set for a home win until he had to pit for new tyres, handing the lead back to Villeneuve and in behind, Patrick Tambay briefly ran third in his McLaren, until he was passed by Jarier. It was Villeneuve who won the race with Scheckter close behind, and Jarier taking the final spot on the podium. 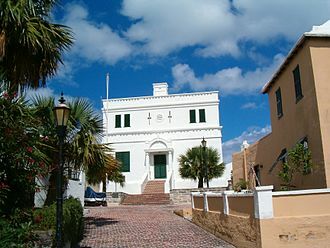 Five weeks after the South African race, the field went to the United States to compete at the gruelling Long Beach street circuit near Los Angeles, California. Qualifying saw Villeneuve taking his first career pole position with Reutemann alongside him on the front row ahead of Scheckter. Before the race started, Reutemann suffered an electrical failure and had to start from the pits. After a string of failed attempts to start the race due to different reasons, the race finally started with Villeneuve leading Depailler and Scheckter, but soon Jarier was up to second. As Villeneuve set about building a gap, Jarier and Depailler battled for second but Scheckter passed both of them mid-race. Towards the end, Jarier began to drop back rapidly with a vibration, so Depailler finally got third but not for long as Alan Jones's Williams was past him. That was how the race finished, with Villeneuve winning ahead of Scheckter in another Ferrari 1–2, and Jones giving the Williams team their second ever podium with third. After another long break, this time for three weeks, the Spanish Grand Prix was next, at the tight and twisty Jarama circuit near the Spanish capital of Madrid took place, starting a trilogy of Grands Prix at tight and twisty circuits. Here, the Ligiers struck back at Ferrari, with Laffite on pole again with Depailler ensuring a front-row lockout leaving Villeneuve third. At the start, Depailler took the lead from Laffite, and Reutemann who has a brilliant start was up to third ahead of Villeneuve. 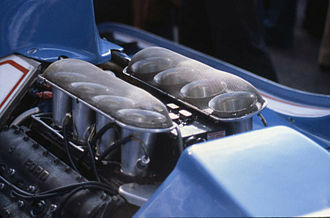 The Ligiers ran 1–2 comfortably until Laffite's engine blew up, leaving Reutemann second, and Andretti third after Villeneuve spun attempting to pass Reutemann. With his teammate out, Depailler was able to cruise to victory ahead of Reutemann and Andretti who ensured a double podium for Lotus. The sixth race of the season was in Belgium, where Laffite surprised no one with pole, and Depailler surprised no one with second, but Nelson Piquet surprised many by qualifying his Brabham third. Once again, it was Depailler who got the best start, and led with Jones up to second ahead of Piquet with Laffite dropping down to fourth. In the early stages, Laffite was on the charge, as he passed first Piquet, then Jones and finally Depailler as he took the lead. As the race progressed, the Ligiers suffered from tyre trouble and so Jones took the lead until he retired with an electrical failure which handed the lead back to Depailler (who had repassed Laffite) until he crashed out, so Laffite inherited the lead until he was passed by Scheckter. 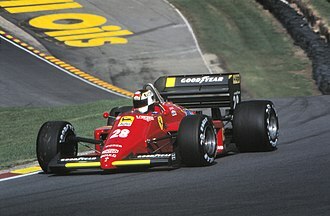 Scheckter went on and took his first win for Ferrari ahead of Laffite, with Didier Pironi completing the podium in his Tyrrell. The next race was the illustrious Monaco GP, and in qualifying, it was Scheckter who was on pole with teammate Villeneuve alongside, restricting Depailler to the second row. 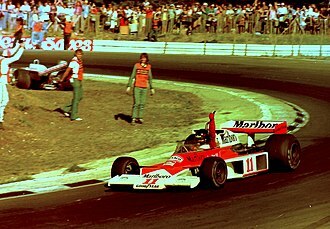 At the start, Scheckter kept the lead with double world champion Niki Lauda featuring at the front for the first time this year by jumping up to second ahead of Villeneuve, but it took only 3 laps for Villeneuve to get past and follow his teammate in driving away from the field. Lauda kept third until Pironi tried to pass him, which resulted in a collision and both retiring. 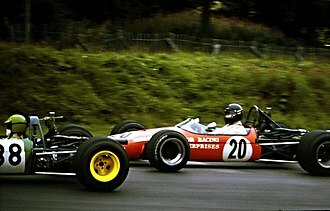 This put Jones up to third until he retired with steering troubles which handed third place to Arrows A1 driver Jochen Mass. However brake issues on Mass' Arrows allowed Clay Regazzoni to come past, which became second when Villeneuve retired with a transmission failure. With Villeneuve out, Scheckter had no more challengers to his lead and won comfortably, with Regazzoni finishing second and Reutemann taking third. With the Swedish GP cancelled due to a lack of funding, there was a 5-week gap between the Monaco and French GP's. The French Grand Prix would kick off a tour of Grands Prix held at fast circuits; and this Grand Prix, held at the very fast Dijon-Prenois circuit in eastern France saw the home fans get an all-French front row, but instead of the usual Ligiers, it was the two turbocharged Renaults who were in dominant form, Jean-Pierre Jabouille on pole ahead of René Arnoux and Villeneuve. At the start, Villeneuve beat Jabouille into the first corner, with Scheckter third after Arnoux had a bad start. As the front two began to drive away from the field, Arnoux began a charge up the order, and by mid-race he was back in third. In the second half of the race, the two Renaults found another gear, and Jabouille drove past Villeneuve to take the lead, and Arnoux began to close him down and caught him with four laps left. Jabouille won much to the happiness of the fans, and they received much more entertainment behind as Villeneuve and Arnoux battled for second for four laps, banging wheels repeatedly, and ultimately it was Villeneuve who prevailed. The second half of the year started in Britain at the fastest circuit of the year, the airfield Silverstone circuit 90 minutes north of London. The Williams FW07 had found new speed with some modifications to correct aerodynamic leakage, and Jones qualified it on pole more than a second ahead of Jabouille who was continuing his good form with Nelson Piquet again qualifying his Brabham third. Jones led into the first corner ahead of Jabouille, with Regazzoni up to third. The front three ran in the same order until Jabouille ran into tyre trouble and had to pit, leaving Regazzoni second and Arnoux third. Jones looked set to win but he had to retire with an overheating engine, so Regazzoni took the lead and went on to win, giving the Williams team their first ever F1 victory, with Arnoux second and Jean-Pierre Jarier third. The tenth race of the year was held in Germany, and on the ultra-fast Hockenheim circuit, Jabouille took pole with Jones completing the front row, and Laffite next up. Jones got the jump on Jabouille at the start, which Scheckter briefly up to third until Laffite regained back the place. Jones held off intense pressure from Jabouille in the early stages of the race, until the latter tried too hard and spun off giving second to Laffite and third to Regazzoni. Regazzoni was soon past Laffite, and the two Williams cars dominated the rest of race, with Jones getting his first win of the season and Regazzoni completing the 1–2 leaving Laffite to take the final spot on the podium. The field went to the very high-speed Österreichring circuit in Austria, and in qualifying once again the Renault turbo was the car to beat, Arnoux taking his first career pole, with Jones forcing Jabouille to settle for the second row. The race saw a sensational start from Villeneuve who jumped into the lead ahead of Jones, with Niki Lauda up to third after a bad start for the Renaults. Villeneuve led for three laps before Jones passed him, and Arnoux was up to third after passing Lauda. Arnoux then took Villeneuve for second, before Jabouille set off on a charge and took second himself. The two Renaults set off after Jones, but Jabouille's gearbox failed. Arnoux continued to chase down Jones until he suffered fuel pressure problems and dropped down to sixth place, and handing second back to Villeneuve. With the Renault challenge finished, Jones was able to cruise to victory with Villeneuve second and Laffite completing the podium. F1 arrived at the beach-side Zandvoort circuit near Amsterdam, and the fast Zandvoort circuit had been modified with an awkward chicane placed between both of the most dangerous parts of the track, the very fast Hondenvlak and Tunnel Oost corners. The chicane didn't slow down the cars much and the new corner proved to be more of a nuisance than a reduction in danger. Rene Arnoux in the ever-improving Renault took pole, with next to him Alan Jones in the Williams. The start proved to be rather shambolic: Arnoux and third starter Clay Regazzoni tangled and were eliminated at the start; Jones took the lead, with Villeneuve taking up the challenge by charging towards Jones. Jones and Villeneuve battled, and then the French Canadian spun at the new chicane after going wide. His Ferrari's rear suspension was damaged; and then Villeneuve then went off at Tarzan, and decided to drive around the circuit with shattered rear suspension and a punctured right front tire. 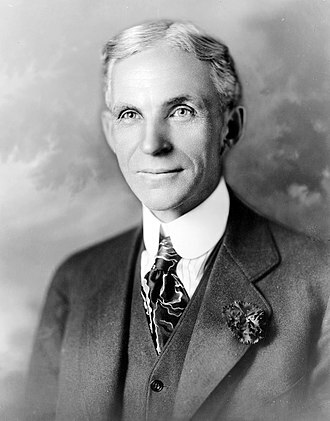 He drove rather fast, showing outstanding car control, and was able to make it back with a very broken car. 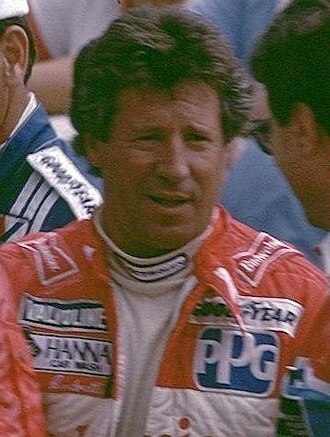 Jones ended up winning the race from Jody Scheckter and Jacques Laffite. The Italian Grand Prix at the fast Monza Autodrome near Milan was next, and the Milan Auto Club's response to driver's concerns about the safety and almost total lack of run off at the Monza circuit had been responded to, with huge improvements in safety added to the circuit, including new and expansive run off areas at the Lesmos and the Curva Grande, and a new track surface. This proved to be a memorable day for Ferrari- as Jody Scheckter and Gilles Villeneuve made it a Ferrari 1–2 after the Renaults locked out the front row with Monza being suited to the powerful turbo-charged French cars. With this victory, Scheckter won the Drivers' Championship and Ferrari won the Constructors' Championship with a car that proved to have a 100% reliability record thus far; an incredible achievement in 1979. Clay Regazzoni finished 3rd. 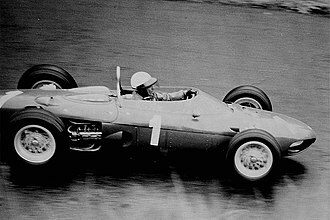 3 weeks after Ferrari's triumph on home soil, the teams went on to North America to complete the 2 remaining rounds there. The first was in Canada at the Ile-Notre Dame circuit in Montreal, near Villeneuve's home town. Villeneuve qualified 2nd behind Alan Jones, and they battled very hard throughout the race, as Villeneuve was 1 second behind Jones at the finish. The 2nd Williams driver Regazzoni finished 3rd. 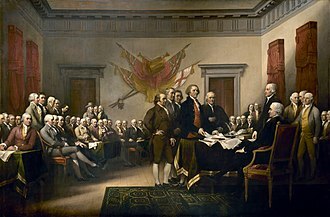 1 week after Canada, the teams traveled 5 hours south into the United States, to the spectacular, bumpy and fast Watkins Glen circuit in upstate New York, 4 hours from New York City, Philadelphia and Niagara Falls. The area was mostly soaked with rain, and this made conditions treacherous. On Saturday, during one of the periods when it stopped raining and the track dried out, Jones took pole again from Nelson Piquet in the new Brabham BT49 in his first ever visit to Watkins Glen. Come race day, it started to rain and become windy 20 minutes before the start of the race. At the start, Villeneuve, 3rd on the grid blasted through to take the lead at the first corner. Bruno Giacomelli crashed at Turn 9 and then Jacky Ickx, in his last ever F1 Grand Prix in a career stretching back to 1967 with 8 Grand Prix victories spun off on Lap 3 and his teammate Laffite compounded Ligier's misery by also spinning off on Lap 4 at the fast Turn 11. The race itself was another battle between Villeneuve and Jones, with the Canadian out in front. Once Jones came in to change to dry tires, Jones left the pit lane too fast before one of the mechanics had put the left rear tire on properly; he only made it between Turns 7 and 8 before the wheel came off and he had to retire. This left Villeneuve with no problems at all and he went on to win his 3rd GP of the year in front of Frenchmen Arnoux and Didier Pironi in a Tyrrell. The following races counted towards the 1979 World Championship of F1 Drivers and the 1979 International Cup for F1 Constructors. The Swedish Grand Prix was originally scheduled to be held at Anderstorp between the Monaco and French Grands Prix. However, enthusiasm for Formula One in Sweden had faded as a result of the deaths of Swedish drivers Ronnie Peterson and Gunnar Nilsson in 1978 and as a result, there was no money for the race to be held, resulting in its cancellation. Points towards the 1979 World Championship of Drivers were awarded on a 9–6–4–3–2–1 basis for the first six positions in each race. Only the best four results from the first seven races and the best four results from the remaining eight races could be retained by each driver. Williams placed second with its FW06 and FW07 (pictured) models. 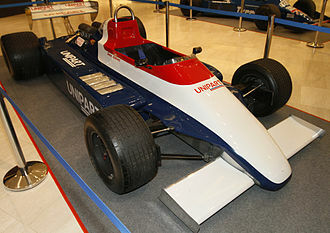 Ligier placed third with its JS11 model. Points towards the 1979 International Cup for F1 Constructors were awarded on a 9–6–4–3–2–1 basis for the first six positions in each race. This was the first year in which more than one car from each constructor could score points at the same race (previously only the best-placed car from each constructor was eligible to score points). 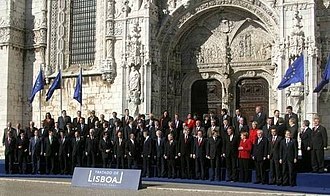 Three other Formula One races, which did not count towards the World Championship of Drivers or the International Cup for F1 Constructors, were also held in 1979. ^ a b Official records of the 1979 International Cup as published in the 1980 FIA Yearbook refer to Fittipaldi as Copersucar, after the team's main sponsor. ^ Only the best 4 results from the first 7 races and the best 4 results from the last 8 races counted towards the Drivers' Championship. Numbers without parentheses are Championship points; numbers in parentheses are total points scored. The Lotus 80 was a Formula One car used by Team Lotus in 1979. 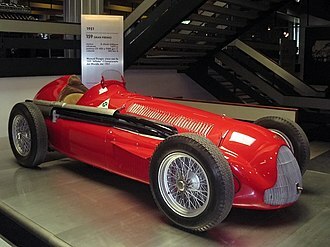 The car, designed by Colin Chapman, Martin Ogilvie, Peter Wright, an additional ground effect system was built into the nose, in an effort to turn the whole chassis into an aerodynamic device. In theory this would create a tremendous amount of downforce, so the chassis would have to be built to be more rigid than that of the Lotus 79. The 80 would not need wings due to the massive downforce, Chapman approved the idea at once. The car appeared resplendent in British racing green, since John Player Special had pulled out of F1, the car featured coke bottle sidepods, something that would become familiar in the 1980s. 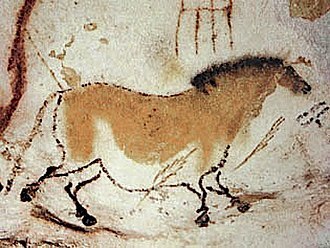 However, a problem was encountered during testing. Mario Andretti reported that at speed the car behaved very well, but in braking and cornering, where speeds were lower and it was discovered the car was generating too much downforce for the driver to cope with. The problem was twofold, the ground effects low pressure area under the car was moving around with the centre of gravity. Jarier won the 1000 km Nürburgring race in 1974 with Jean-Pierre Beltoise. The pair drove a Matra-Simca 670C.